It’s no secret that cars are complex, so it only makes sense that finding the right auto parts could be a bit of a hassle. 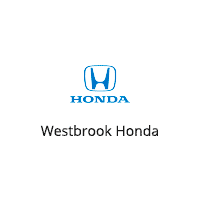 That is to say, it would be if you didn’t have Westbrook Honda by your side. Located conveniently in Westbrook, our team of Honda parts experts are standing by to answer your questions and, of course, place an order for you. Before you do anything else, however, be sure to have a look at our auto parts specials to see if the component you need is currently on sale. And when the time comes to inquire about the part you need, simply fill out our online order form to get the ball rolling. We’ll be happy to order any parts we don’t currently have in stock as well, so don’t let the limitations of our stock room hold you back from finding the part you require.